In this article, you will learn how to install a shower drain. 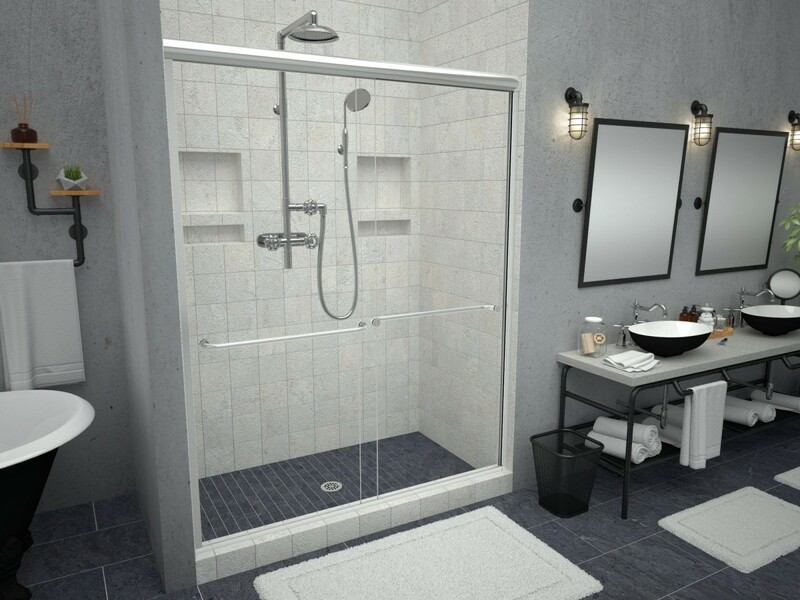 Before you can decide on what type of showering drainage installation mechanism that you need to follow, you will first need to decide on what type of shower drainage you want to use for your design. When trying to decide on your showering drain it requires some research on your end to look at what size space you have, what type of shower you're going for, what style of drain you are looking at. All of those play a key factor when deciding on what drainage type to actually purchase. There are many different shower drain types that you can purchase for installation. There are square center, round center and other drains. All these come in multiple finishes, sizes and styles from multiple different retailers online or in your local store. The second part of doing research is going to be not only determining the size of space that you have and the type of drainage that you are looking for but you're going to need to determine what type of wet room you're actually going to want. Do you want trench drains for the shower to do a standard walk-in shower with a curb or are you looking for a curbless one? Standard center drainages will work with a curbless design or a standard wet room with a curb. It all depends on your preference. The next thing you need to decide when doing your research is what type of finish do you want? Showering drainages come in all different types of finish from chrome, brushed nickel or rubbed bronze. You can get them in a variety of sizes. They come in 4"x4" square pieces, round pieces. You can get them larger, smaller. All of these play a key factor in determining the proper shower drainage installation mechanism for your own particular space. It's not just as simple as saying "Oh, I want that drainage and installing it." There's a lot more thought process that has to go into the design, the layout and what actually works for the space and the plumbing that you have. Not all drainages will fit onto your existing PVC pipe or ABS pipe that you're currently using, so you may need to buy adapter rings that go onto the outlet of a center drainage. Those also can be purchased at places such as Home Depot, Lowe's, hardware stores, online, Amazon. Lots of places sell the adapter rings that will take your existing plumbing from one size to another size to fit onto the desired drainage you wish to purchase. Again, this is a very key part of your research when determining what showering drainage best suits your installation so before you start buying drainages you want to measure the size of your waste pipe if you can. If you cannot measure 4 inch square drains for your shower it before you purchase the drainage you want then no worries that is why they make adapter rings. 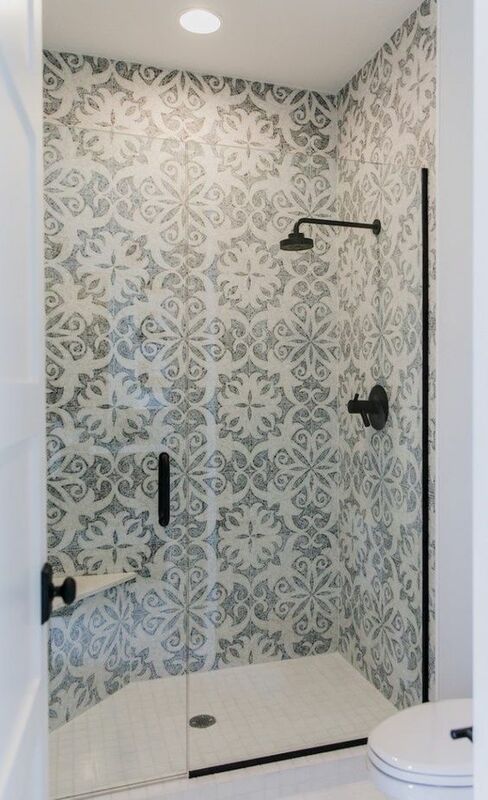 See All Shower Drains The next question is going to be the style. When doing your research you need to take a close look at all the different drainage styles. Some of them come with a more classic look that have squares across the top. Some of them comewith S-styles. Some of them come with tile in. You can get standard center drains in the majority of these styles. They do come in a wide variety of other styles and you can get triangles, rectangles or anything that you could think of you could probably find on the web somewhere for the design that you are looking for. There are multiple grate styles available. There is something for everyone. In the center drainagess there are classic styles, we have a craftsman style, we have a luxury rain head style and several other options that you can choose from. . Our center drainages come in oil rubbed bronze, chrome and brushed nickel finishes. So it's very important to do your research when you are looking at a shower drain installation project so that you're very well informed of all the options that you have an you can best determine what works best for your individual space, as not every design is the same and nor is every space the same. all of those things play a part. At TruGard ours are made of 304 grade solid stainless steel. It's not susceptible to rust over time, it's very easy to access and clean the hair traps once the drainage is installed properly. As mentioned before, drainages come in different types and different styles which also affects the price. Some carriers may charge based on a style, while some other carriers may charge based on size alone. It all just depends on what you are looking for and who you're purchasing from. Drains are installed a couple of different ways depending upon the company that you are using. The installation method that we want to talk about today in this article is the installation that can be used with the TruGard drainage systems and some of our competitors' drainage systems such as Schluter, Wedi, things of that nature. How to Install a shower drain? When installing the TruGard drains, you're going to need a couple of different items. You're going to need some thinset mortar (modified). You're going to need a tube of our TruSeal sealant, as well as a couple of tools - a level, how to install your drain a drill, and some cement pipe glue. So when you're installing the center drainage you will use the drill, a level, the cement mortar, cement pipe glue and the sealant. When you're installing a center drain, you need to determine whether your drainage is actually center of your wet area or whether your drainage is off center. They can be installed in both locations, whether center or off center. So choosing your drainage placement is also part of the installation method that needs to be taken into account for at the beginning. You need to decide where you're going to put your drainage and make your cuts properly in your subfloor to expose your pipe so that it's easily accessible. When installing a center drainage, you want to do the same thing. You want to cut the area in your floor to recess the drainage body into the floor, resting the flange directly on top of the subfloor and attaching the drainage outlet to your existing waste pipe. Again, if you are using your own existing plumbing you may require a retrofit adapter or you may require a pipe adapter coupling that would change the size of your existing plumbing to match the existing outlet on the drainage you have chosen. Once you have cut open your spaces and you've done a dry fit of the drainage you have already your drain smells bad attached the drainage to your existing waste pipe. For complete step by step instructions on standard shower installation please review one of our articles linked above. If you have questions in regards to showering drainageage installation no matter what type of drainage you are going to be using, again it is always very important to do your research. Look at all the different possibilities, placements, finishes and options that are out there and available. Determine whether you're going to use your existing plumbing and you need retrofit adapters or if you're going to be using just the straight pipe and attaching it directly to the drainage outlet. If this case, you will again need to make sure that you do your research and get your proper measurements to make sure that the outlet of your drainage matches up with the outlet from the drainage waste pipe in your bathroom. If the drainage waste pipe in your bathroom is larger or smaller than the outlet of the drainage, you may need to buy a coupling ring to take your drainage outlet from one size to match the pipe size in your bathroom. When choosing to install a showering drainage, it's also important to think about what you're going to be wanting to do in the area that you're installing a drainage in. Is this a large wet room? Are you installing it in a guest bathroom, in a master bathroom? Determining the overall look that you're trying to achieve for the bathroom will also depend upon the installation method that you go with for installing your drainage. Drains that are installed directly into the subfloor for a complete curbless appeal are much often installed for bathrooms that need to be handicap accessible or for individuals who want a complete barrier-free/bathroom/wet area - whatever the case may be. The same results can be achieved with your center drainage with just a little bit of additional modification for your floor as well as the drainage installation itself. For more information on other options or installation guidelines for your bathroom please see our additional articles. 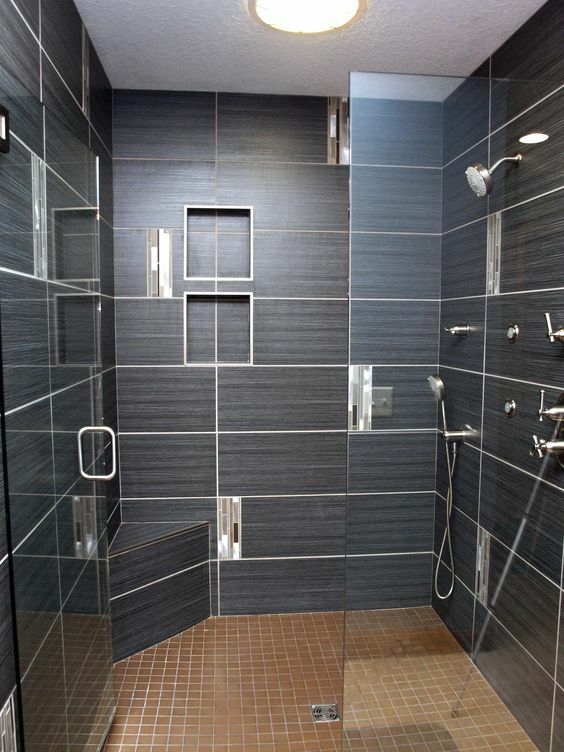 Thanks for reading drains with tiled showers this article, we hope your install turns out great. If you are going to be using a bench I would look deeper into the placement and how the drainage plays a part - click here.